Muddle your way to a great cocktail. A fresh approach to flavour. Muddling drinks is a long tradition, loved by bartenders for the purity of the flavours they draw. Muddling is crushing ingredients to elicit an oil, flavour, or juice using a miniature baseball bat utensil, known as a muddler. Muddlers come in many shapes and sizes, and materials, but the only two hard and fast rules are that the muddler is long enough to keep the bartender’s hands from getting beat up on the rim of the glass, and that it’s not covered in anything that will chip off and fall into the drink, such as lacquer. As for what to muddle, creativity knows no bounds. Fresh herbs like mint, basil or rosemary, or even fruit leaves can be muddled to release the essential flavours, but not crushed through the supportive veins in the leaves, as that releases the chlorophyll which has a very bitter, grassy taste. Citrus, stone fruits and berries are fantastic muddlers, giving drinks a fresh fruit flavour, much preferred over fruit concentrates. Adding a touch of sugar, or even spices like cardamom pods, lemongrass, or ginger to your shaker can open up new avenues of delicious drinks. There are some tried and true cocktails that involved muddling. An old-fashioned is muddled sugar, bitters, orange and cherries finished with bourbon. 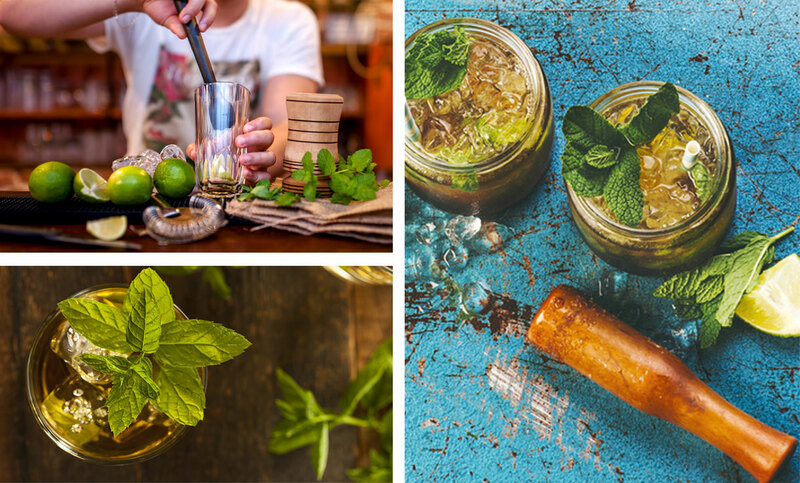 The most famous of all muddled drinks is the mojito, which is muddled mint leaves, finished with sugar, lime juice, and spiced rum. Gin and tonics can be as simple as just those ingredients, but we think they’re extra special if you muddle some kaffir lime leaves and add a little lime slush. We explore Brandon's love of tomatoes and the baguette. Find out about the history, beauty and simplicity of the Sushi Cone.